The TFH 19 E has a maximum heat output of 2,000 watts (2 heat settings). 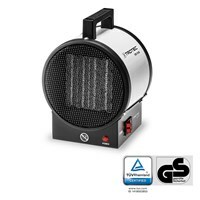 The TFH 20 E fan heater has a maximum heating capacity of 2,000 watts (2 heat settings). 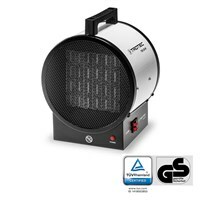 The TFH 22 E fan heater has a maximum heating capacity of 2,000 watts (2 heat settings). The TFC 1 E impresses at home and on the road with its 500 W heating power. The ceramic fan heater TFC 13 E has a max. Heating power of 1,400 watts (2 heat settings). 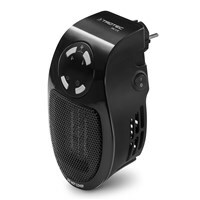 The ceramic fan heater TFC 14 E has a max. Heating power of 1,400 watts (2 heat settings). 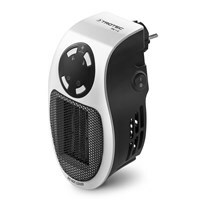 The ceramic fan heater TFC 15 E has a max. Heating power of 1,500 watts (2 heat settings). 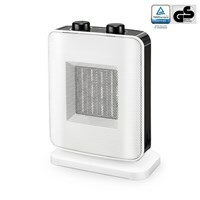 The ceramic fan heater TFC 16 E has max. heating power of 2,000 watts (2 heat stages). 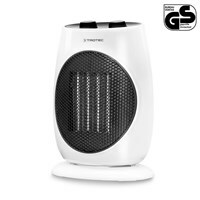 The Ceramic Fan Heater TFC 17 E has a max. heating power of 2,000 watts (2 heat stages). The ceramic fan heater TFC 18 E has a max. Heating power of 1,800 watts (2 heat settings). The ceramic fan heater TFC 19 E has a max. heating power of 2,000 watts (at 2 heat stages). The ceramic fan heater TFC 20 E has a max. Heating power of 2,000 watts (2 heat settings). The ceramic fan heater TFC 22 E has a max. Heating power of 2,000 watts (2 heat settings). 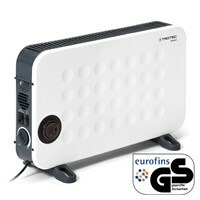 The convector TCH 1 E with a heating capacity of 520 watts for heating small rooms. Efficient and also quiet heating device with feet which provides quick comfotable warmth. The convector TCH 22 E with the heating capacity of 2 kW, timer and a turbo-blower. Designer Convector TCH 24 E with 2 kW heating power and thermostat-controlled automatic operation. The Designer Convector TCH 26 E with 2 kW heating power, timer and turbo blower. 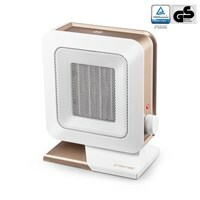 Stylish convection heater with a max. power of 2,000 watts for clean, silent heat. 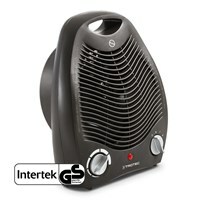 Small, compact electric heater with a heating performance of up to 2 kW (1,720 kcal). The robust, red ceramic heating fan TDS 10 C with a nominal heat output of max. 2 kW. The TDS 10 M Ceramic Heater disposes about a max. heating performance of 2 kW. 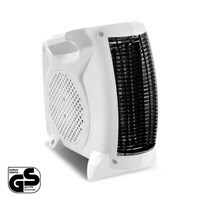 Small, compact TDS 10 P ceramic fan heater with a heating capacity of up to 2 kW. 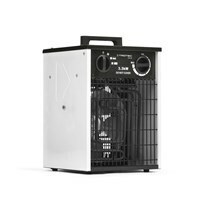 The electric fan heater TDS 19 E with a nominal heat output of up to 3 kW. 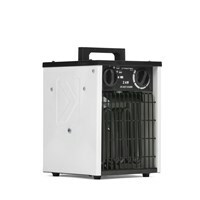 The electric fan heater TDS 19 E with UK Plug convinces with a nominal heat output of up to 2.8 kW. 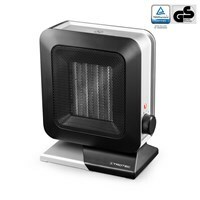 The electric heater TDS 20 with a nominal heating capacity of max. 3.3 kW (2,838 kcal). 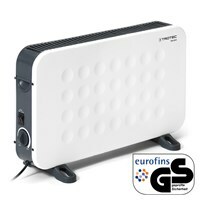 The compact ceramic TDS 20 C fan heater with a nominal heat output of 3 kW. 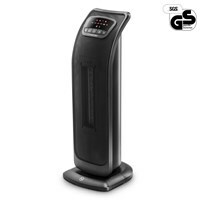 The TDS 20 M ceramic fan heater has a maximum heating capacity of 3 kW. 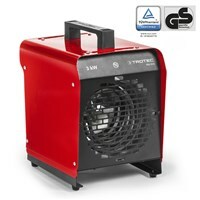 Safe heating: in contrast to the directly fired gas or oil heating devices, the electric heater fans of the TDS series neither consume oxygen nor do they produce combustion waste gases, so they can be used practically anywhere and are especially suited for the temperature control in cold rooms. Fast heating: setting up, plug in and heat! Electric heaters are only connected to a electricity supply. They do not need any external flames such as gas or oil for operation. Simple Heating: the generated heat is distributed by an internal fan directly through the room.